There’s a bunch of companies and products on the market today, right? And if more and more people live in this our beloved blue planet, as a logical consequence there will also be more and more companies. And that leads to greater competition. To succeed in this fierce battle, businesses choose, among other strategies, to provide added value to their products and services. And one of the clearest and most effective ways to do this is by providing excellent customer service. 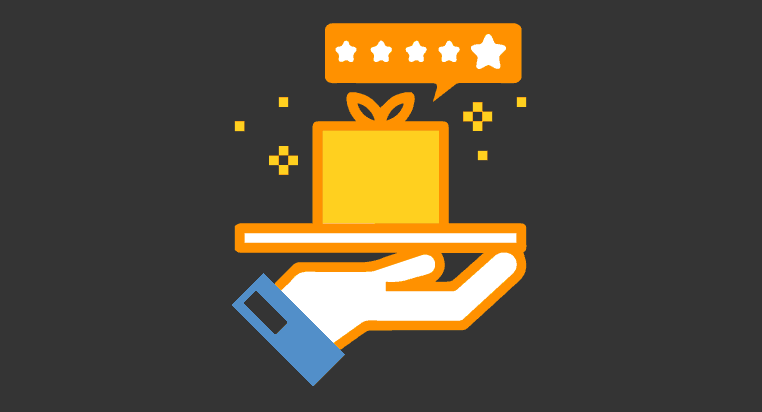 In this article we are going to see, through some examples (a little fictitious) how to add value to your business through a scrumptious user service, which will make your customers as happy as Larry. And on the contrary, we’ll also see how attention to the poor user can turn them against your business, so , shall we start? Some examples of how to add value to your business through customer service. Imagine you are a shopper in an online luxury mobile phone store. It’s the first time you’ve bought from this ecommerce site, but you’ve heard so much about it. And you’re also eager to receive your new Appsung XZ-Chorrocientos model, which is capable of giving you massages and also kisses at night. They knock on the door and you receive the package. You put the Smartphone to work and, oh surprise! a few minutes later you see that it gives terrible massages, and you had also ordered it in magenta and it has arrived in a horrible khaki tone. Now you are angry, you’re calling for help. An operator will take care of you very kindly, will take note of your complaint and, in just 12 hours, a messenger will pick up the wrong mobile phone and will deliver the one you asked for. And not only that, but they give you an app that makes your bed, so you are delighted and recommend it to all your friends and family! This was quite different from that time when, in another similar online store, it took 6 weeks to change your mobile phone…. Something’s going on with your pet products company. Ever since you launched your ambitious marketing plan you have been having problems with your customers. It all started as a small family business selling helmets retail, but the moment you started your international expansion, the customers multiplied, but so did the problems, and along with these, the losses. And besides, you have to compete with your brother Abel – with whom you’ve had an enmity and haven’t spoken in five years – who has founded his own company. Now you look at Abel’s business with envious eyes, and you wonder, how is he doing it? He’s stealing all your users! If you looked closer, you’d see what the problem was. Your competitors have great customer service. They use an incident management system that allows them to keep track of all complaints. They know at all times what the status of the incident is, how long it has been open or who is in charge of solving it. In addition, having accurate data and a history of incidents is allowing them to greatly improve customer service. However, the only tools you have is an Excell and your cousin Paco who is tired of not having the right tools, and spends all day watching videos on Youtube, so why are you still surprised that you have so many problems? Doña Flora is the best customer in your hotel, and she has also made it famous with her profile on hotels in Instagram called “Flora’s Charming Little Hotels and Other Things”. This morning, however, she stormed out the door, swearing she’d never come back. What happened? It turns out that Mrs. Flora reported an incident at the front desk three days ago. The hot water in her room was not working and no one did anything to repair the breakdown. And the fact is that she went down several times to complain, but the notice was written in the notebook with the title “Maintenance Pal”, and it can be seen that the maintenance man did not read it. And now Doña Flora has a nice cold and a great desire to release her anger in her Instagram profile, which has 25.4 million followers. Get ready! As you can see, the future of your business may depend on good customer service. Good customer service increases the perceived value of your products and services and avoids major problems, which can lead not only to the loss of affected customers, but also to the loss of many others, through the destruction of your company’s image, which can lead to poor customer service. However, as you know, providing good customer service is not always an easy task. It can take a lot of dedication, hard work, good organization, and good professionals with the right tools. Luckily, we live in the 21st century, and that means that you can have some technological tools to help you with the management of customer service, so can we introduce you to ours? It’s called Integria IMS. This tool could add value to your business through customer service. Integria IMS is a program that has, among other features, an incident management system (help desk software) based on tickets (ticketing) that can help you to offer a better service to the user. Also, remember that Integria IMS also has other interesting features, such as an inventory or a project management system, among others. This tool could add value to your business through user support. Do not hesitate to send us your questions; there is a team behind Integria IMS that will be happy to help you! And don’t forget to have a look at the other articles that we have published in this blog, we are pretty sure that you will like them. What did you think of this article?